Leonel Rondon was sitting inside a car in Lawrence when a chimney from a house that exploded fell. 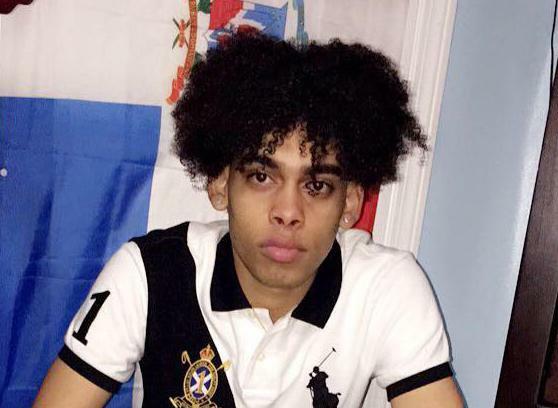 LAWRENCE — They were four young friends, sitting in an SUV parked in a driveway late Thursday afternoon, celebrating as teenager Leonel Rondon talked excitedly about his new driver’s license. It was a rite of passage in the adventure from adolescence to young adulthood, and Rondon was savoring the feel of the driver’s seat in Christian Figueroa’s car. Suddenly, they heard a bang, and felt the shock waves from one of the gas explosions that ripped through Lawrence, North Andover, and Andover. As stunned as the four friends were, the worst was an instant away. Weakened by the blast, the walls of Figueroa’s house on Chickering Road collapsed, toppling a chimney onto the SUV and ending Rondon’s young life a few hours later at Massachusetts General Hospital. It was the only fatality in the explosions and fires that rocked the Merrimack Valley. On Friday, the family of the 18-year-old high school student reeled from the shock and disbelief. His father stood outside his townhouse on Chestnut Street and embraced friends, neighbors, and loved ones. He had dropped Rondon at the Figueroa home to celebrate after the driving test, a family friend said. He later heard of an accident on Spanish-language television. And finally, in a devastating phone call, he learned that the victim, who had died, was his son. Inside the family’s house, wailing could be heard Friday. People shuffled in and out with tears in their eyes. Recalling the events a day later, Christian Caraballo, 19, said that he was with Rondon and their two friends, Christian and Sergio Figueroa, who were all sitting inside the car in the Figueroa family’s driveway and talking. The Figueroas’ mother had just gone inside the house to cook, he said. The large brick chimney fell onto the roof of the car, on the driver’s side. Rondon’s friends desperately tried to pull him from the car. But the damage was too great, and Rondon’s body was too entwined with the chimney bricks and the battered metal to wrest him free. Only minutes before, Rondon had talked excitedly about the new car his mother had promised him, and the prospect of a new job. Now, his friends, bruised and shaken up, felt a whiplash of emotions as the tragedy continued to unfold. The mother of the Figueroas rushed screaming from the remains of the house, shouting that her daughter was trapped inside. Caraballo was also stuck in the car. “My legs were pinched due to the impact of the chimney . . . the seat wouldn’t let me out,” he said. Police and firefighters soon arrived. The sister of the two brothers suffered leg injuries that required hospital treatment. Medina recalled that Rondon liked skateboarding and playing sports with his siblings, three older sisters and a younger brother. On a piece of notebook paper, Rondon’s family wrote that he was excited about life and cared deeply for his friends and family. He was loving and respectful, they said. He liked to have fun, and enjoyed cars, fashion, and sneakers. He was quiet, funny, and a loyal friend, she said of Rondon, a math and biology whiz at Phoenix Charter Academy. When Carrion and her sister went to parties with Rondon, he would always keep an eye out for them, she recalled. “He’d be the one that would be overprotective and watching out for us, and making sure nobody bothered us,” she said. Miriam Taveras, 69, said the neighborhood was mourning together. Rondon lived behind her and often walked past her front garden, Taveras said. He grew up with her son, Kenny, and she teased him about his sagging pants, so he made sure to pull them up when he stopped by. The young men spoke often.